Kensington Preschool offers a variety of classes depending on the age of your child. All of our classes are considered Pre-K. And we offer a 2’s, 3’s, and 4’s, and Transitional Kindergarten classes, all according to age level and attention span. Younger ones will have shorter segments of time and age appropriate language. Each classroom has been designed to meet the needs of the age group we are serving. Encourage discoveries through developmentally appropriate interest areas we provide in the classrooms. Our focus is on “the whole child”… Our Play is Our Work! Physical — We provide a safe and secure environment, working on large motor skills daily in our outdoor play. Fine motor skills are used at our writing tables and in art projects; good hygiene and health are taught and stressed daily. Mental — They will develop feelings of satisfaction in their competence of learning new skills. We will build positive attitudes toward education. Develop a sense of responsibility. Spiritual — Love and respect for God, country, diverse beliefs, community, all people, the environment, and animals are reinforced. Social — Negotiation skills, taking turns, sharing, working, building, and playing together, respect for others and ther property, and awareness of one’s own body and space are taught. Cognitive-math & science — Through manipulative toys, science discovery tables, cooking experiences, gardening, sensory tubs and circle time interaction. We believe in “NO FAIL.” In preschool we have a take home art daily where we focus on the process vs. the product. 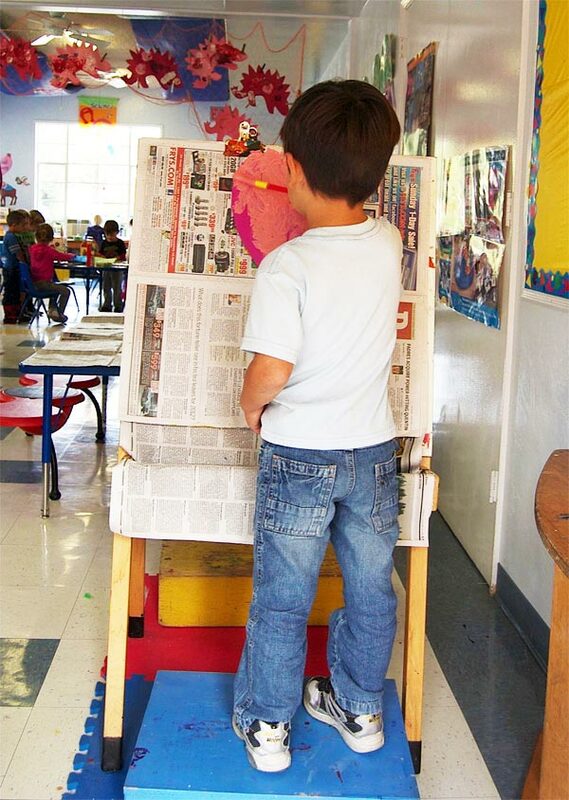 Children can learn to create what they like and enjoy working with a variety of tools and mediums. Just like children no two works of art are alike.